We are at a transformative time in education. The New Media Consortium’s (2011) discussion of the trends that impact K-12 classrooms makes it clear that resources must be designed to meaningfully, efficiently, and effectively augment the curriculum. With the myriad of online resources available, though, it is of paramount importance that the resources available to educators not only meet, but also exceed, the needs of our current and future classrooms. The PBS LearningMedia library, now with over 120,000 digital assets, aggregates the research-based content produced by PBS, member stations, and a variety of public media partners, including the Smithsonian, the National Archives, and NASA. Among its most rapidly growing set of materials is a library of more than 1,000 Spanish-language videos spanning a wide range of subjects, including a large number in STEM fields. During the 2015-2016 school year, KLRN partnered with over 200 public, private, and charter schools in San Antonio to pilot PBS LearningMedia – Custom, impacting nearly 147,000 PreK-12 students. 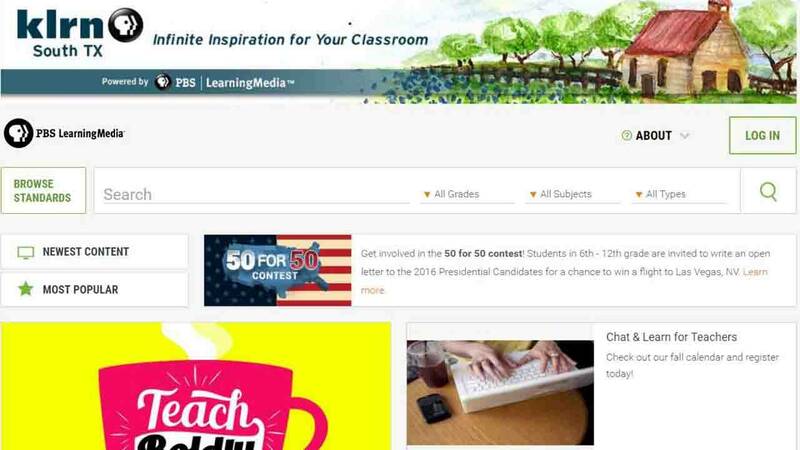 PBS LearningMedia – Custom includes TEKS (Texas Essential Knowledge and Skills) standards alignment, additional high-quality content, and a variety of user-friendly analytical tools. This school year, KLRN will expand its reach, and plans to work with an additional 100 schools in districts throughout our viewing area. To learn more about PBS LearningMedia, visit klrn.pbslearningmedia.org.